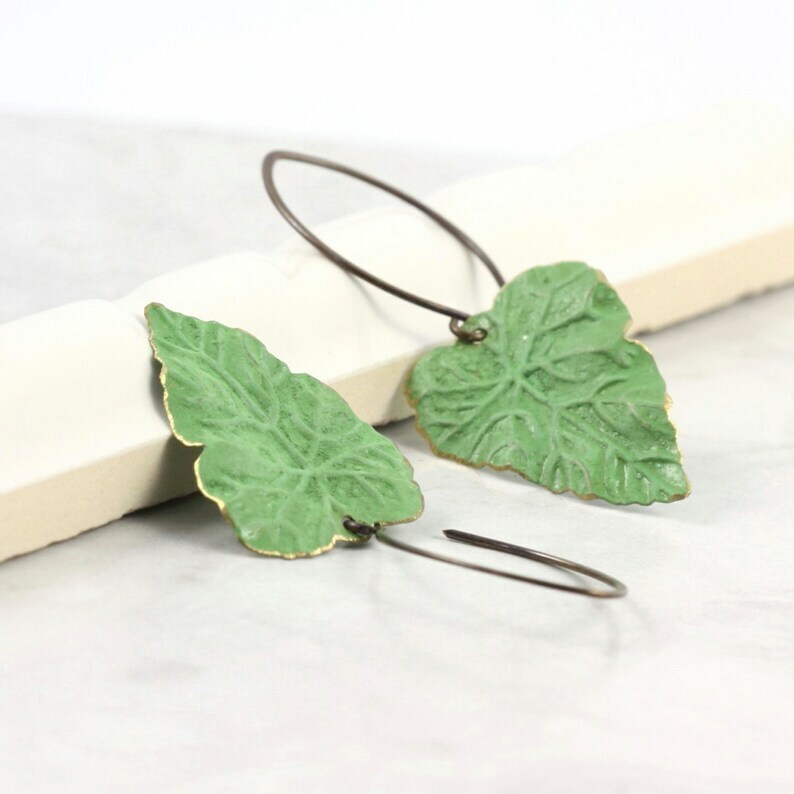 Woodland leaf earrings in forest green. Bohemian style earrings made with colored brass textured leaf drops. Made with antique brass almond shaped ear wires handmade by another Etsy seller. An earthy, boho, free-styling set of earrings that are great for casual wear. The weathered style of the metal leaves do show some scratches and marring due to the naturally occurring patina finish. This adds to their authentic look. Length of earrings is 2 inches, approximately 51mm, from top of ear wire to bottom.